My name is Rehana Nightingale, and I am a well-being practitioner, holistic & complementary therapist and life coach. You can learn more about me in these pages. In my experience, we can sometimes go through life feeling as if we have no control over some of the things that happen to us. We can feel trapped within our bodies, our circumstances or our relationships and we can sometimes use a little support or guidance. You do not need to have a 'condition' to see me. Sometimes, it helps to just have someone to bounce off ideas or off load onto. Either way, I am here to listen, support and assist where I can. I help people to live their life with confidence by teaching them how to tap into their inner power, uncover their hidden strengths and connect with their inner wisdom. I work on a 1:1 basis and also host a number of groups and workshops within the community. My approach is based on the Heal Your Life work of Louise Hay, The Journey by Brandon Bays, EFT/Tapping by Gary Craig and the ancient art of Reiki. I am a fully trained and licensed Heal Your Life Workshop Leader, Study Group Facilitator and Life Coach. You can find me listed under the headings of 'Teachers & Coaches Worldwide' and 'Events & Programs Worldwide' on the official website, www.healyourlifeworkshops.com, if you click here. These workshops are based on the work of Louise L. Hay who wrote the best selling book, "You Can Heal Your Life", and which sold over 40 million copies worldwide. Louise is also founder of Hay House Publishing. Although seen as a complementary therapy, the Heal Your Life work is much more a philosophy of life. It teaches us how to change our mindset and live from a place that supports us, mentally and emotionally. I teach the workshops in small groups as a one off workshop or as part of a programme over a few weeks or in a 2 day workshop. All the Heal Your Life Workshops are based in or near Ruislip. I also offer 1:1 life coaching sessions. The aim of this group, is to get together with like minded people and develop our self awareness. By investing in our personal development we can become more aware of our own limiting patterns, stories and behaviours. This then gives us choice to change which in turn leads to self empowerment. When we become self empowered we can then co-create the life we want. EFT is short for Emotional Freedom Technique and is a Meridian Energy Therapy developed by Gary Craig. It has its origins in traditional eastern medicine, namely acupuncture and shiatsu. Its incredible simplicity belies its profound and lasting results. We all have emotions. They help us evolve, change and grow. However, sometimes suppressed or denied emotions can become blocked within the body's energy system. These negative emotions very rarely disappear by themselves and can hold us back, consume us or plague us and may eventually lead to physical pain and illness. EFT works by tapping on various energy points around the body while focusing on specific problems or goals. This facilitates a change within the body's energy system which may help to overcome negative emotions or physical pain and change unwanted behaviours or habits and enhance positive emotions and experiences. To put it simply, EFT is a self help tool which is easily learned and which puts self healing at everyone's fingertips, quite literally. For more information, click here to visit the official AAMET website. I offer EFT in and around Uxbridge as 1:1 sessions in person or via Skype (online), small groups and workshops. The Journey is an immensely powerful mind and body healing process pioneered by Brandon Bays, author of the internationally acclaimed book, “The Journey”. 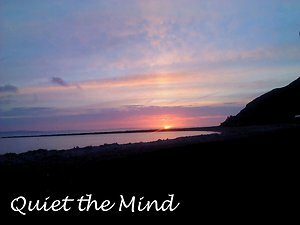 It uses a very simple and profound guided meditation that will give you direct access to the infinite wisdom that we all have inside us. During this guided meditation you will uncover old cell memories, emotional patterns, blocks, limiting beliefs or behaviours and negative emotions or memories which, once resolved, may unleash the body’s own powerful healing energy and potential. The Journey is an incredibly deep and comprehensive healing technique and I would suggest reading the book before attempting it. I am a fully qualified and Accredited Journey Practitioner and registered on the offical Journey website, click here to find me. I have also been a journey mentor to trainee practitioners since 2010. I offer 1:1 sessions in person or Skype (online) and host a monthly Journey group near Northwood, Ruislip, Pinner, Harrow and Uxbridge. Simply translated, Reiki means universal energy and refers to the channelling of this energy from the practitioner to the client. It originates from Japan and is one of the oldest forms of healing known to exist. It is believed that this universal energy is the force that radiates and flows from every living thing. Sometimes this energy can become blocked within the body when we experience negative thoughts, emotions or trauma. By channelling this Reiki energy from the practitioner to the client the ‘blockages’ can be addressed and re-balanced. Reiki is a very calming and meditative process carried out with the client seated or lying on a couch. The client remains fully clothed and the treatment can be administered with either a light touch or no physical contact at all. During the session the client may fall asleep or experience a pleasant feeling of deep relaxation. Some clients report physical sensations, seeing colours or feeling warmth. All sessions are on a 1:1 basis. Please contact me for a private consultation. 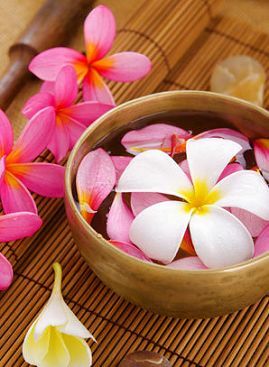 All of the above come under the umbrella of complementary therapies. However, they have the ability to empower the client to 'heal' themselves. Whatever your issue - physical, mental, emotional or just knowing that you are more than you have become or yearning for something in your life to be different - each of the above can give you the tools to tap into the potential to become whole, healed and who you truly are.